VANCOUVER – The Canadian Olympic Team representing the country at the Rio 2016 Olympic Games August 5th-21st features a large percentage of Canadian athletes who are either residing or training in British Columbia. Of the 313 athletes on Team Canada, a total of 141 have a connection to British Columbia, with 68 listing a hometown in the province and another 73 benefiting from services provided by Canadian Sport Institute Pacific or a PacificSport Centre in BC. Pattenden noted the fact that an impressive 45% of Canada’s Olympic Team is linked to British Columbia, even though the province only makes up 13% of the Canadian population. Pattenden said the Rio 2016 Games are yet another opportunity for Canadian Sport Institute Pacific to appreciate the growth and development of Canadian athletes and the sports they represent, along with the role the CSI Pacific team plays in working with the respective national sport federations, government partners and other stakeholders in support of both Summer and Winter Games and other major international competitions. The torch of the Olympiad gets lit Friday, August 5th, at the Maracana Stadium in what should kick off a fascinating two weeks of competition. Pattenden added that it is an honour for Canadian Sport Institute Pacific to collaborate with National Sport Organization partners to provide expertise, service and support to their athletes. Among the highlights this summer will be the fact that Rio 2016 marks the inaugural Olympic Games for Rugby Sevens, where Canada’s women will be sure to thrill as they go for gold. 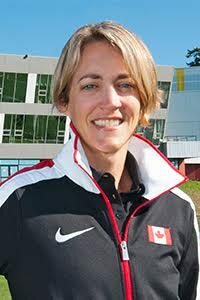 “We can’t wait to watch these athletes and coaches on the world’s biggest stage and are very proud to work with them throughout the Olympic cycle,” said Pattenden, pointing to the role of Canadian Sport Institute Pacific as a contributing member of the Canadian Olympic and Paralympic Sport Institute Network and here in British Columbia, the viaSport Regional Alliance. “We know this is a team effort from coast-to-coast and acknowledge the support of Sport Canada, viaSport, Own The Podium, the Canadian Olympic Committee and Canadian Paralympic Committee, along with the Coaches Association of Canada,” said Pattenden. Many Canadian Sport Institute Pacific staff will be working with these athletes and their sport governing bodies at Rio, with 12 sport scientists from six different disciplines working at the Games, including two staff members working as part of the Canadian Olympic Committee’s Mission Staff for Performance Analysis. CSI Pacific will also be represented in the broadcast booths, where Rowing NextGen Coach Barney Williams will serve as an analyst on CBC’s broadcast team. The Rio 2016 Olympic Games will mark the largest contingent of Canadian Sport Institute Pacific staff ever at a Summer Games. Note: The numbers were changed from the original release due to amendments to Team Canada’s list of athletes after the original posting date. Offering world-class Olympic and Paralympic training environments in Vancouver, Whistler and Victoria, Canadian Sport Institute Pacific (www.csipacific.ca) is committed to Powering Performance. Inspiring Excellence. Working with national sport organizations and fueled by our national and provincial partners such as Sport Canada, viaSport, Own the Podium, Canadian Olympic Committee, Canadian Paralympic Committee and the Coaches Association of Canada, we are driven by our mantra to Collaborate. Serve. Innovate. Our team of sport scientists and medical experts provide leading edge programs and services to athletes and coaches to ensure they have every advantage to win medals for Canada.